We have been planning a trip to the corn maze for a while now, and luckily today the weather was perfect. My sister in law is a great organizer and we had 6 families come for the fun. First we had a picnic lunch (we arrived late as always, so my kids ate in the car) and cupcakes for a special little boys birthday. Evans corn maze was so much fun for all of the kiddos. 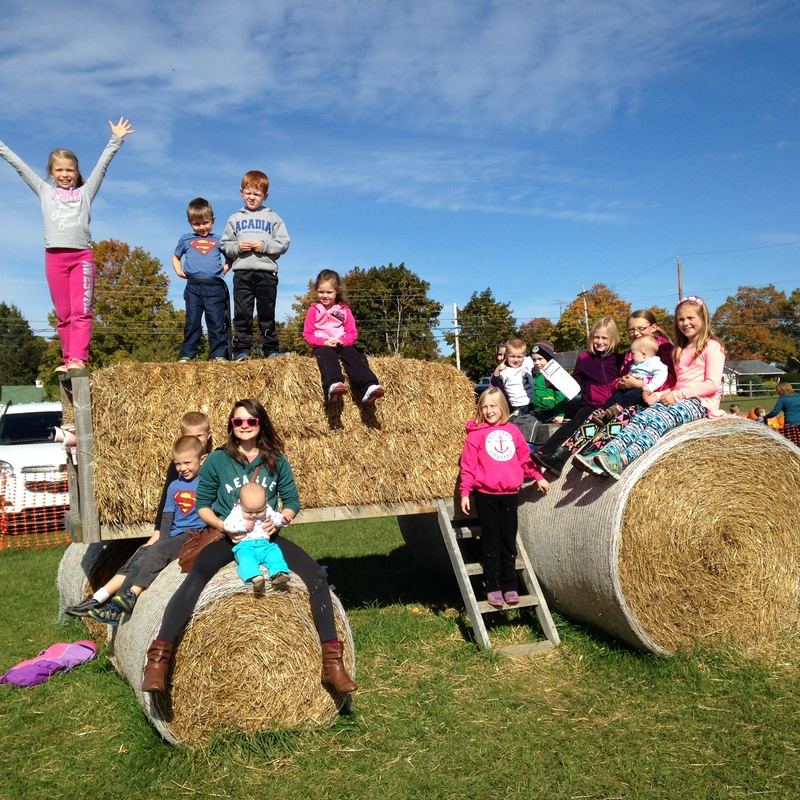 They have sandboxes full of corn, playground equipment, a hay bale maze, great decorations and a pumpkin train ride. The kids played for a long time while the adults chatted. I love that we have such a great group of families. The kids all get along amazing and so do the adults. Walking through a corn maze with so many kids could be stressful, but with that many adults you know someone is keeping an eye out for stragglers. Today looking around I saw my son being carried on the shoulders of one of the Mom’s, while her son was off with one of the Dad’s, and her baby was off with one of the other Mom’s. All the families were mixed together trying to find our way through the corn maze and a helping hand was never far. It made me smile thinking how in my life, because of these friends and relationships, we all have helping hands waiting for whenever we need it. I know that if I called (I guess texted) any of them right now asking for help they would do whatever they could and I would do the same. It makes me think of the saying “It takes a village to raise a child.” It truly does, and I love my village.